Need a reason to pull Garlic mustard? 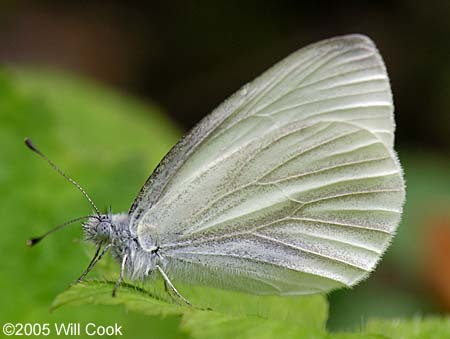 I began writing this article to discover more about the West Virginia White Pieris virginiensis (WVW) and its conservation. I know that many ARMN members spend a lot of time pulling garlic mustard (Alliaria petiolata). I thought you might think about how much you are helping WVW when you start attacking garlic mustard this spring. The WVW is negatively impacted by garlic mustard. WVW lay their eggs on garlic mustard which is in the same family as the toothworts; however, the garlic mustard is toxic to the caterpillars. Removal of garlic mustard from woods with this butterfly or large toothwort populations is highly recommended. Forest fragmentation due to timbering and development encourages the spread of garlic mustard. From armneditor: Check out a wonderful guide on Garlic Mustard Treatment Options published by The Woodland School of The Aldo Leopold Foundation. Mark your calendar for May 4, 2013 for the Invasive Plant Removal Day. Details forthcoming. This entry was posted in Stewardship and tagged invasives by armneditor. Bookmark the permalink.